Data quota is something most of us hate when it comes to subscribing to internet data services. The rule of the thumb is that the more you need, the more you pay for. 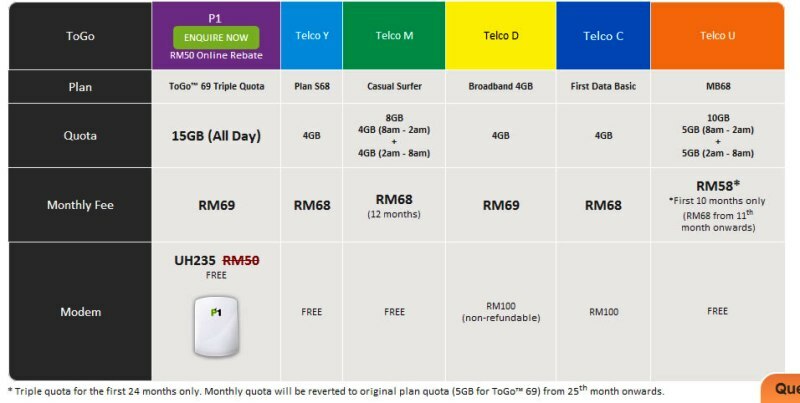 Well, not with P1 because the P1 ToGo™ broadband with triple quota, is giving you 15GB all-time monthly quota at only RM69 a month. That’s HUGE considering some are offering a mere 3GB at similar price. To make it even more awesome, this package is for those of you whom are constantly on the go as a free USB broadband modem is included to enable you to surf anytime and anywhere. 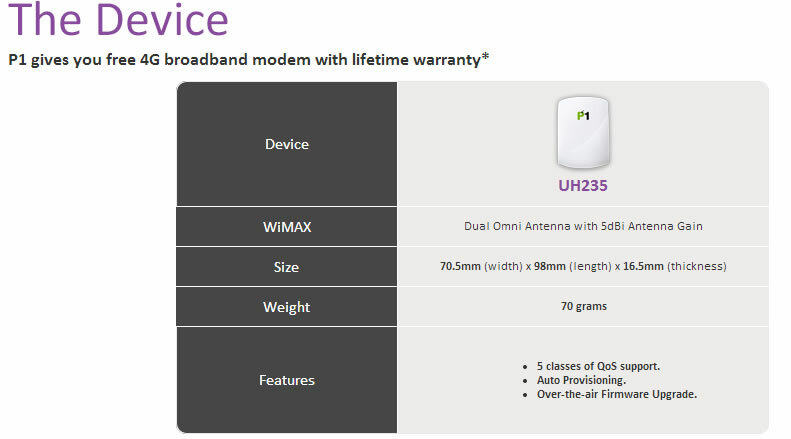 And guess what, the USB broadband modem comes with full warranty on the modem throughout the service period. Download speed is an adequate 1Mbps, with a 24 month contract attached to the whole package. Sounds less attractive, but then wait til you compare them to the rest of the crowd as seen below. Doesn’t seem that bad of an offer anymore right? To find out more, check out ToGo Triple Quota page.